'art place berlin' offers a forum with a new format for the presentation of exhibitions of contemporary art and intercultural projects at the Park Inn Berlin -Alexanderplatz. 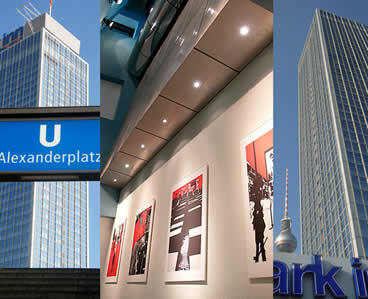 International and Berlin based artists show painting, photography and works on paper. More than 30.000 visitors monthly from all over the world will experience an encounter with current international art. This makes an exhibition project at art place berlin to one of the most frequented exhibitions of contemporary art in the German capital.